This makes a good meatless recipe as well. Just make some bean and veggie chili! 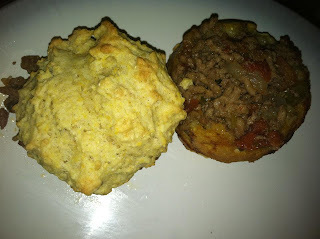 For my "Chili" I used Ground Beef, Onion, Rotel and some tomatoes. Nothin special just what I had on hand. 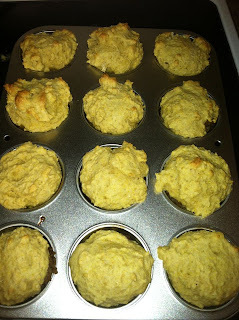 -Pour cornbread over the chili in the muffin cups.